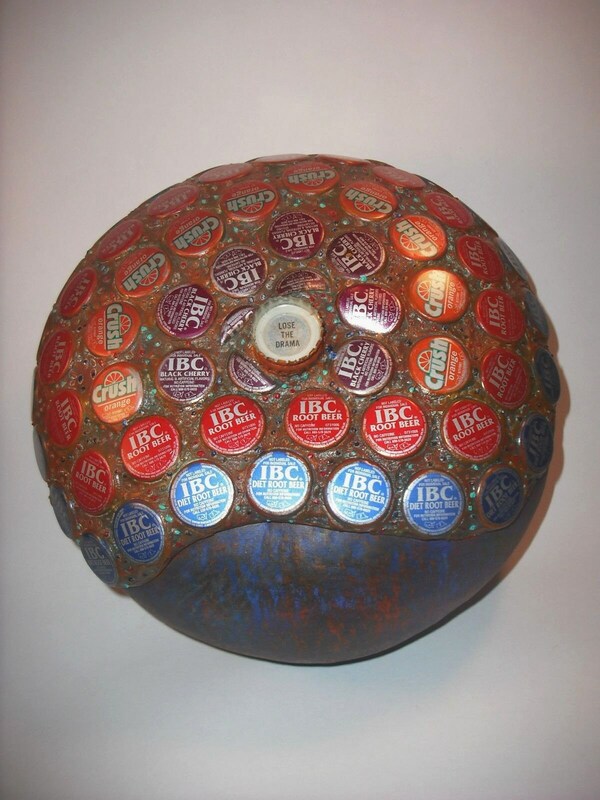 Upcycled IBC and Orange Crush bottle caps form the top of this two-piece gourd. The caps are set as you would mosaic tile, then grouted. My husband made a deal with Boy Scouts selling the sodas for a fundraiser. They saved caps for me, he gave their mamas wood spoons. 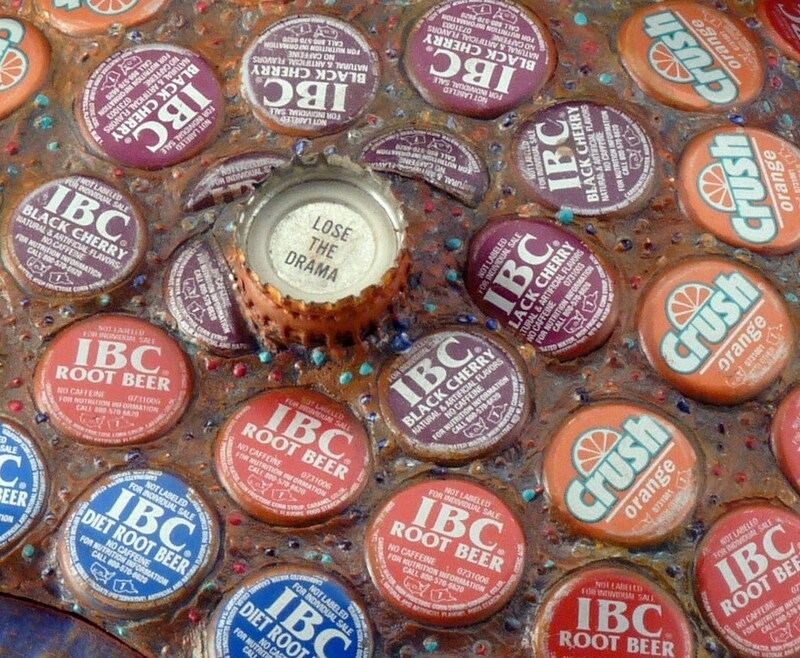 The lid handle is two caps, the bottom interior face down, the top one interior face up bearing the phrase, "LOSE THE DRAMA." 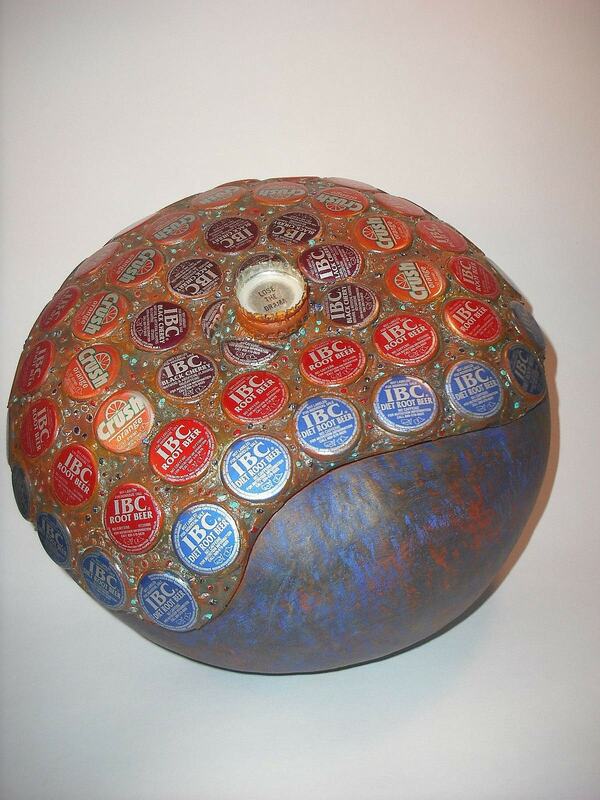 The grout is textured with raised painted dots all around each cap. The gourd is botanically prime: thick and symmetrical, and is approximately 9 inches across and 5.5 inches tall including the lid. The bowl is approximately 3 inches deep. I use gourd containers like this as bread warmers. Take hot bread out of the oven, nestle in a cloth napkin (included) inside the gourd and take to table. Hot bread in an artful organic container. Perfect. They also make perfect servers for chips, cookies, etc. 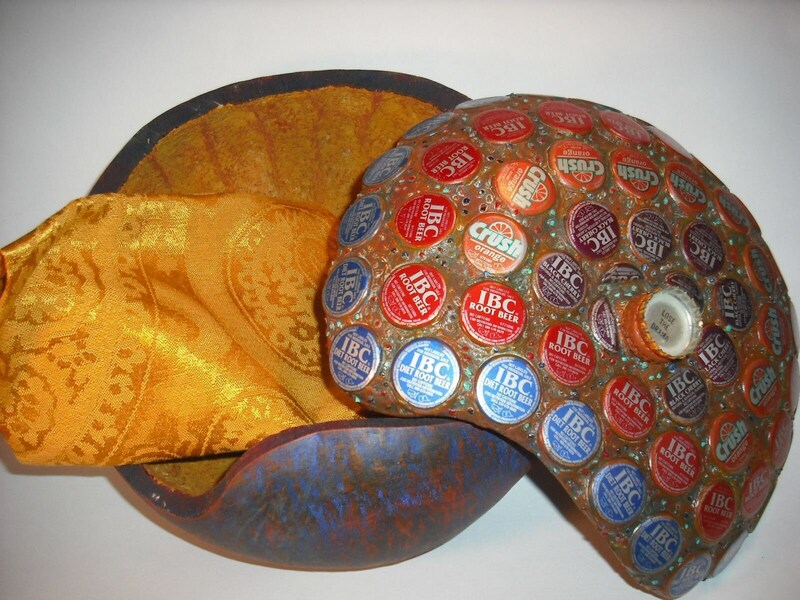 Folks stow their trinkets and treasures in them. 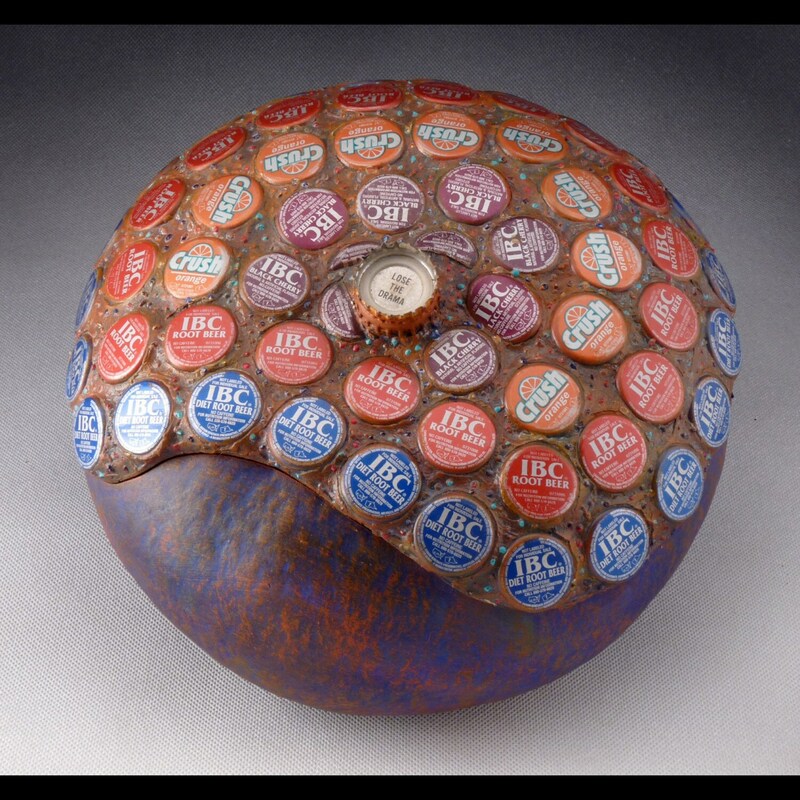 I like the juxtaposition of the organic gourd paired with industrial dross, producing a useful contemporary art piece. A gourd sheet providing an overview explanation of humankind's long relationship with gourds is included, along with a post-consumer paper hand-painted gift bag, and tissue, so you're good to go for gifting.